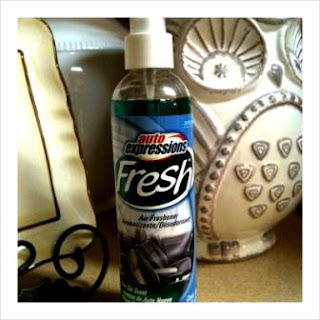 lol with the leightons: Would It Be Weird If I Wore Automotive Air Freshener As Perfume? Would It Be Weird If I Wore Automotive Air Freshener As Perfume? A random tidbit about TLC: I heart Nordstrom. Everything about it – from their amazing customer service to their trendy (and affordable) accessories (found in their juniors’ department, of all places). I even love the way it smells. I jokingly tell ELC it smells like “home.” LOL. When you walk into one of their stores, you’re instantly struck by notes of leather (from their ah-MAZING shoes and gorgeous purses), perfume (they have quite the extensive collection), and fabulous clothes. It reminds me of that new, never-been-open book smell. Oh, how I wish they would package it up in a pretty, glittery, glass bottle and sell it. I would buy case after case. I met my husband almost four years ago at a wedding in Midland. He and the groom have been lifelong buddies. The bride was my first new friend our freshman year at college. I will never forget seeing him that night. He was signing their guestbook after the ceremony. Later that evening, he asked for my number. We had our first "official" date in Addison the next week. On our second date, he wanted to take me to a sushi restaurant. I was beyond nervous. I had never had sushi before (and I didn’t have the nerve to tell him that either). I desperately wanted to impress him. The entire day of our upcoming dinner, I was a wreck. I Googled “how to work chopsticks”— to no avail. I also tried to quickly learn the proper sushi lingo (like what the heck is sashimi?). When he picked me up, he was ever the gentleman. As he opened his car door, I vividly remember praying, as I stepped in, not to blow it with this hunk. Then, suddenly, my fears were put to rest. “What is that smell?” I thought. It was his car! His car! I blurted out, “Oh. My. Gosh. Your car smells like Nordstrom!” He looked at me with the most priceless and puzzled expression. As soon as those words left my mouth, I was certain he would definitely ditch me as soon as he discovered I was a sushi-phony (in addition to clearly being a total FRUITCAKE). Yet, here we are, blissfully married. For my birthday the following year, one of my gifts from him was four large bottles of the delicious “Nordstrom” car air freshener. I remember rolling on the ground with laughter. I loved his creativity – and humor. Still do. I thought of him that infamous night, thinking what a whacko I must have been for telling him his car smelled like my favorite department store. Ever since then, I gleefully spray my car periodically with that intoxicating scent and smile when I think about my sweet hubby. He puts up with my crazy antics with such love and patience. Bless his heart. If Nordstrom doesn’t bottle their scent soon, I might just have to take to wearing that air freshener… as my perfume. Out in public. I LOVE this story of how you two met. And I had no idea Nordstrom had a car scent. How fabulous. I think you should send some to all your readers. Definitely.